NY State To Pass Ice Cream and Pie Law? New York State is passing a law that will require all pies either sold at Farmer's Markets or served at restaurants in Upstate New York be served with a scoop of ice-cream. Actually, that’s not true at all. “I made that up,” Jon said with a grin. His old banter with customers and other produce stand owners was “growing old”, so he came up with the ice cream yarn. Jon, a substitute high school history teacher, started baking seven years ago. Now his business has grown so large that he is considering giving up the teaching gig and become a full time baker. And that’s a good thing. His “Blappleberry Pie” (a mixture of berries and apples) was delicious. 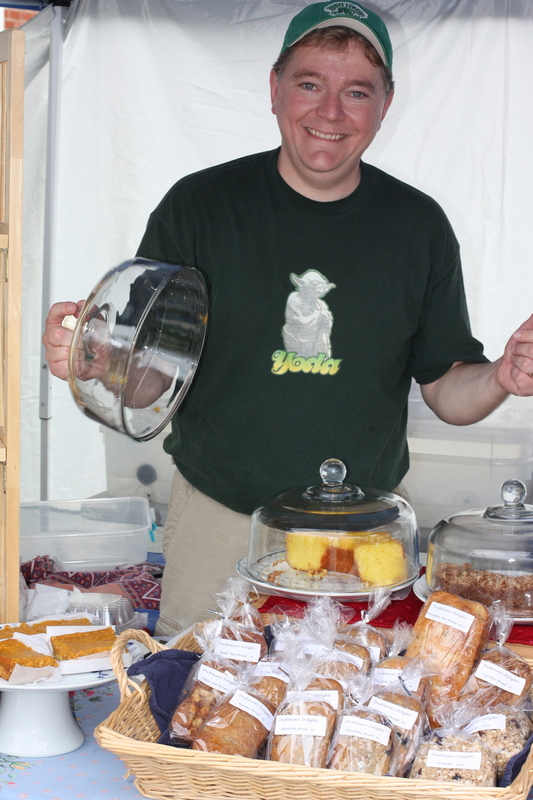 Be sure to check out Jon and all the other fine produce stall owners at the Farmer's Market today 9 am - 1 pm in the parking lot outside Town Hall.